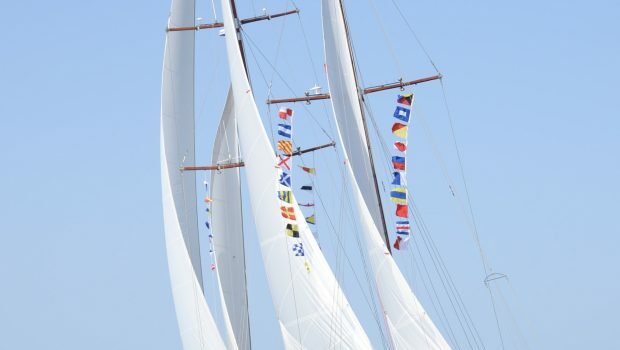 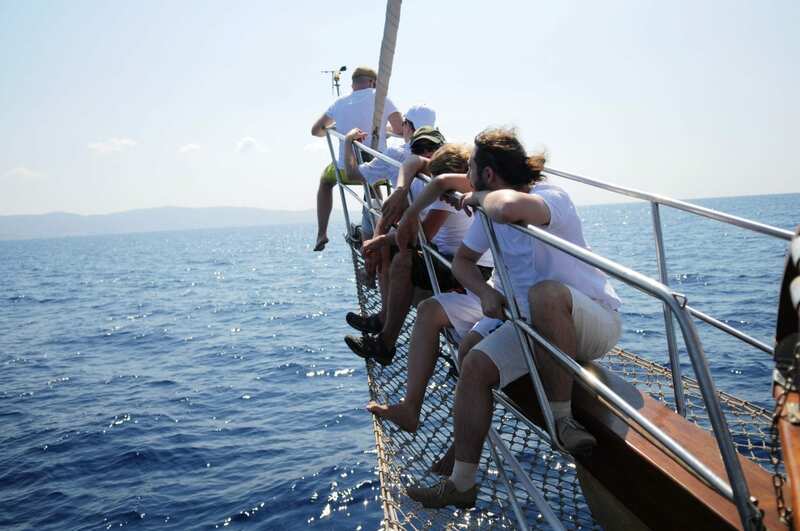 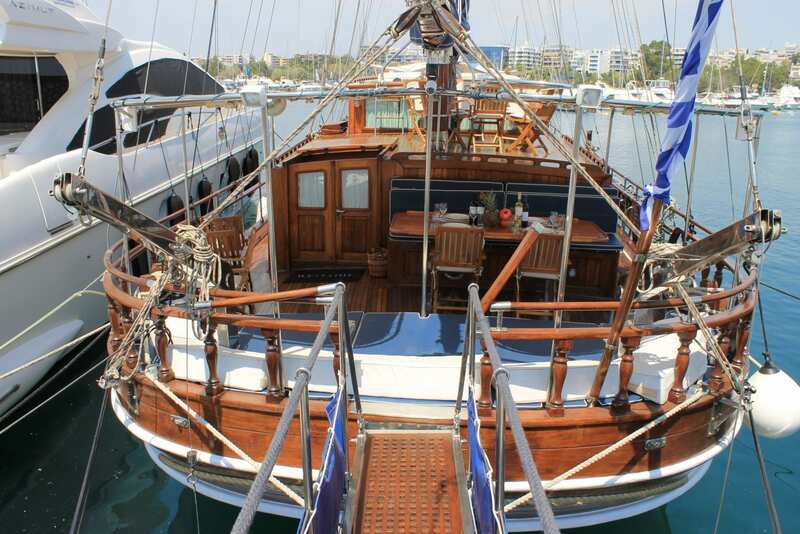 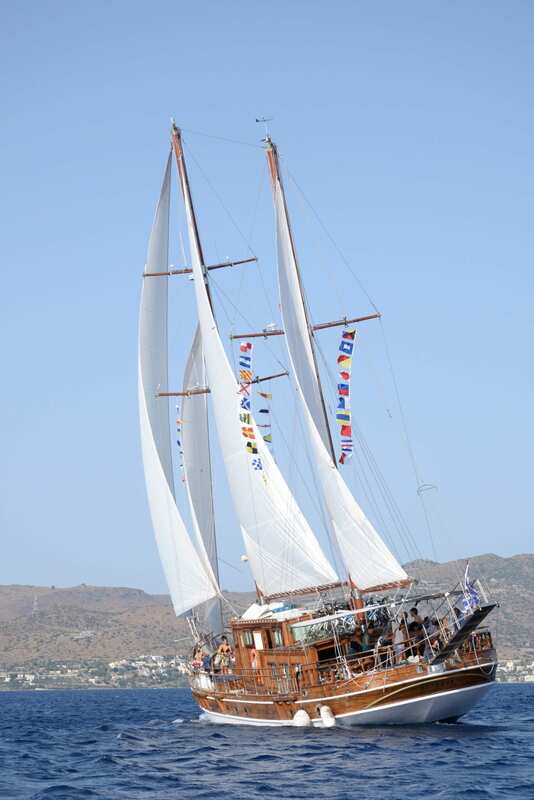 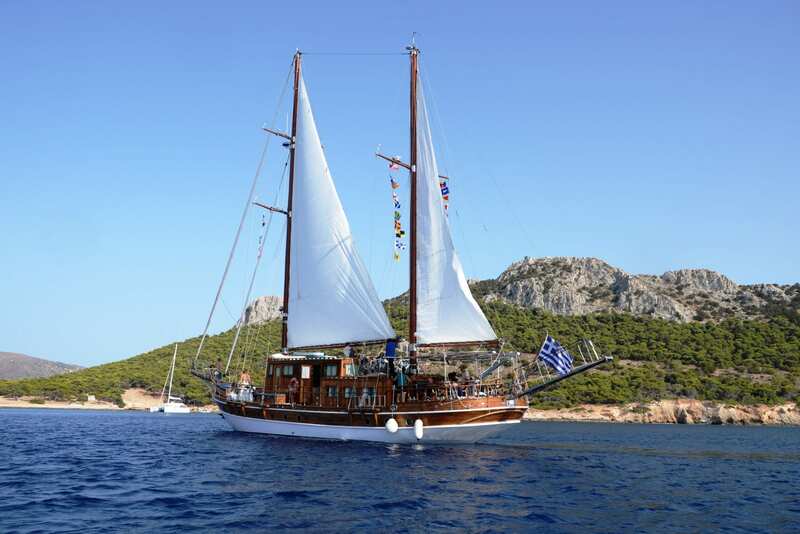 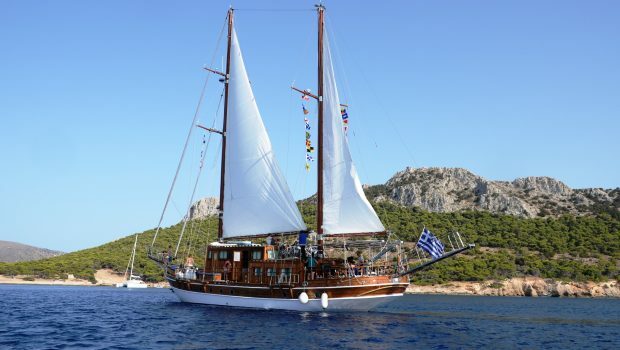 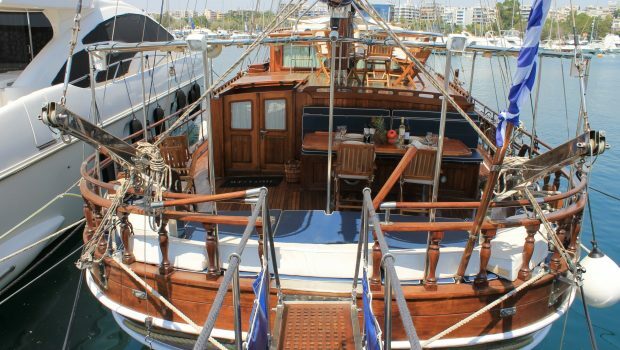 The APOLLON is a ketch with four sails, totally rebuilt and handcrafted in 2015 with the finest of African wood. 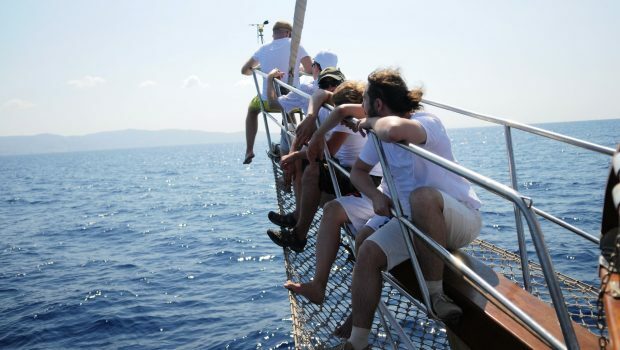 Its artisanal design is combined with the latest technological advances. 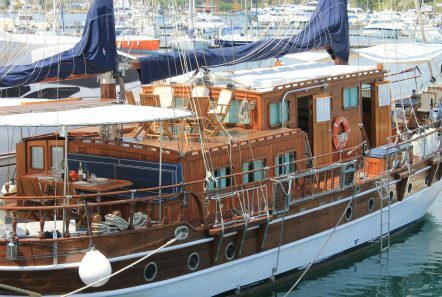 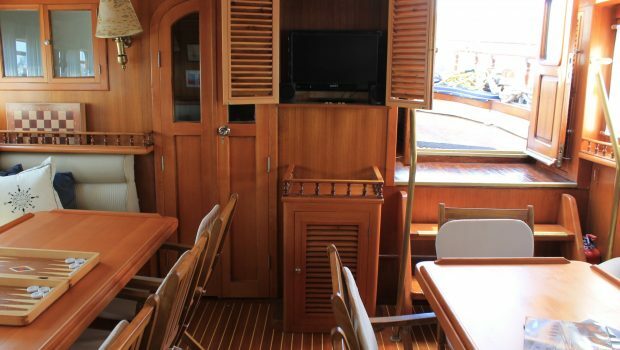 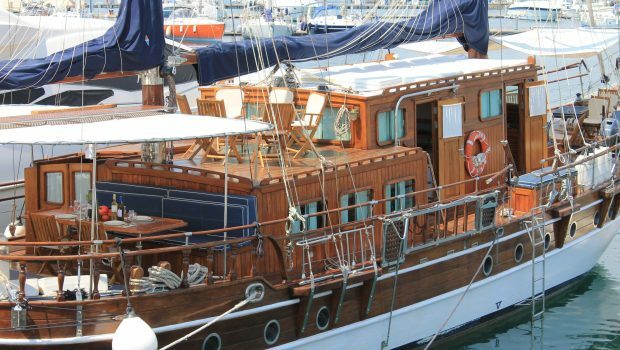 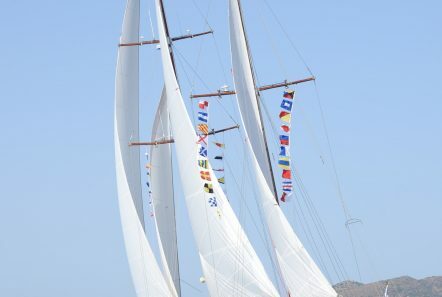 Built in a Salamina shipyard, a unique and comfortable wooden yacht has been created of exceptional sailing style and modern amenities. 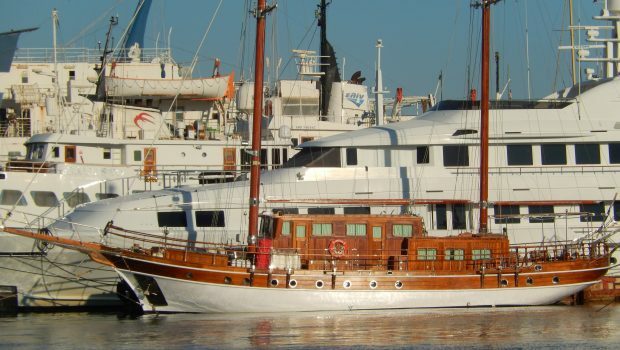 She has two main engines and a hydraulic bow thruster. 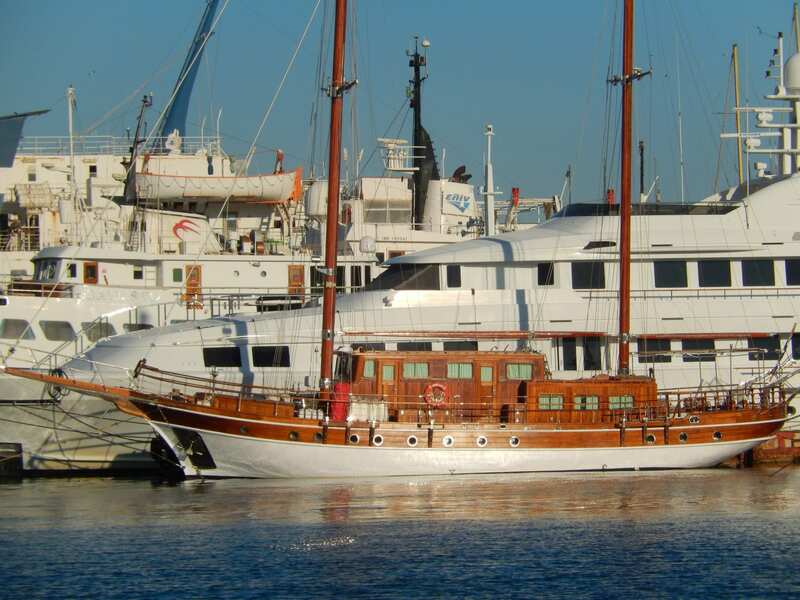 The yacht accommodates up to 16 passengers on multi-day cruises and up to 49 passengers on day sails(cost on request). 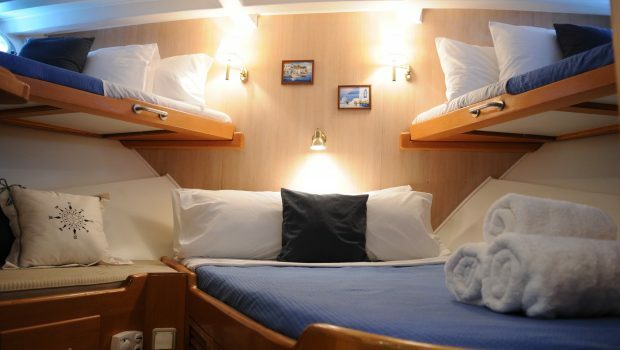 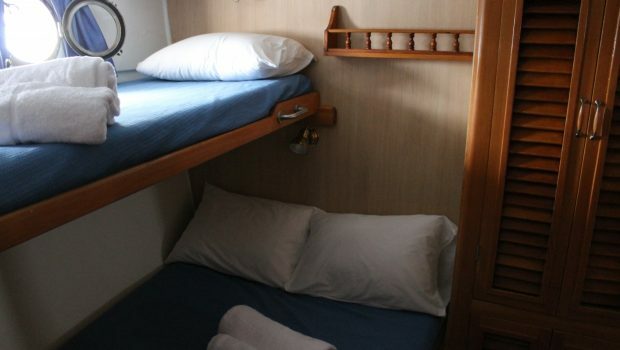 It has 6 double bed cabins with third berth and one master cabin with double bed. All have ensuite facilities. 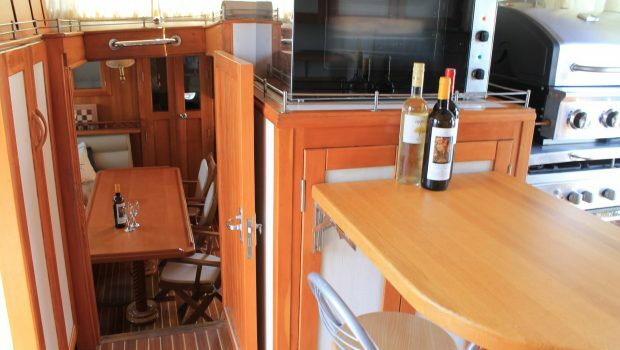 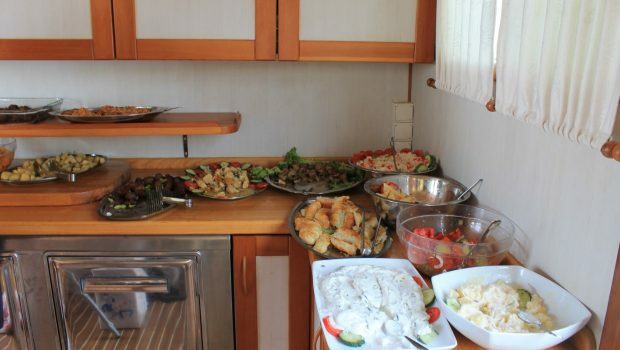 The yacht is equipped with a full-service galley, including 5 refrigerators and freezers, two ovens, bar-b-que and coffee machines. The APOLLON is a ketch with four sails, totally rebuilt and handcrafted in 2015 with the finest of African wood. Its artisanal design is combined with the latest technological advances. 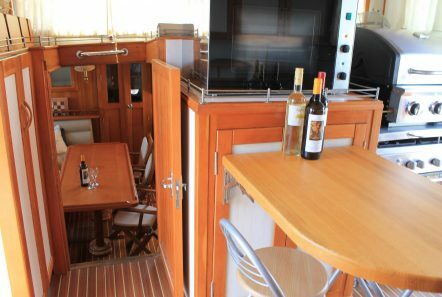 Built in a Salamina shipyard, a unique and comfortable wooden yacht has been created of exceptional sailing style and modern amenities. 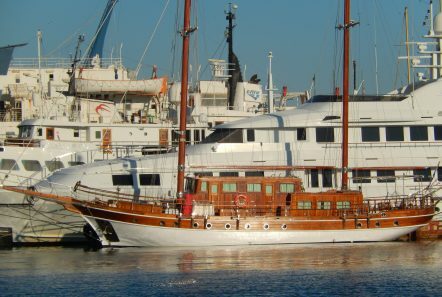 She has two main engines and a hydraulic bow thruster. 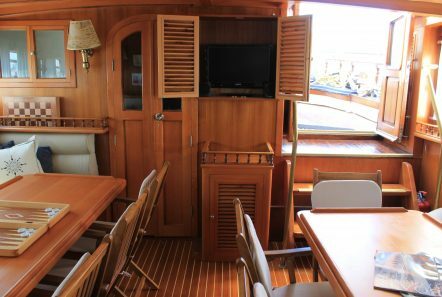 The yacht accommodates up to 16 passengers on multi-day cruises and up to 49 passengers on day sails(cost on request). 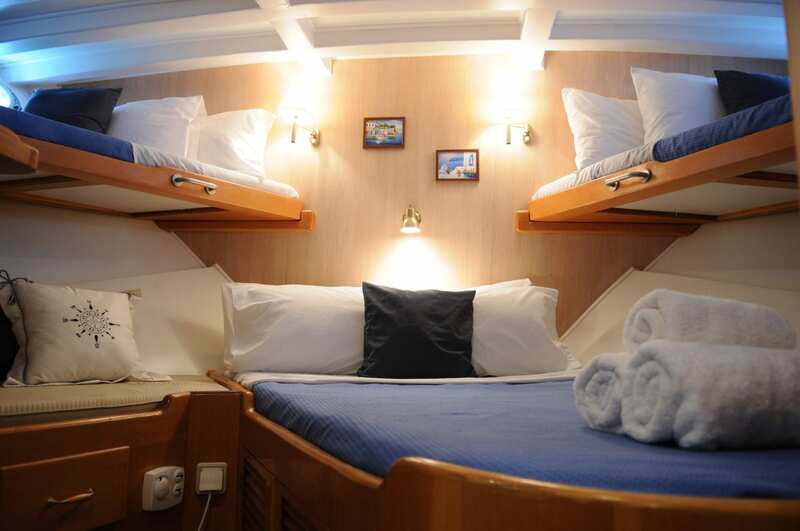 It has 6 double bed cabins with third berth and one master cabin with double bed. 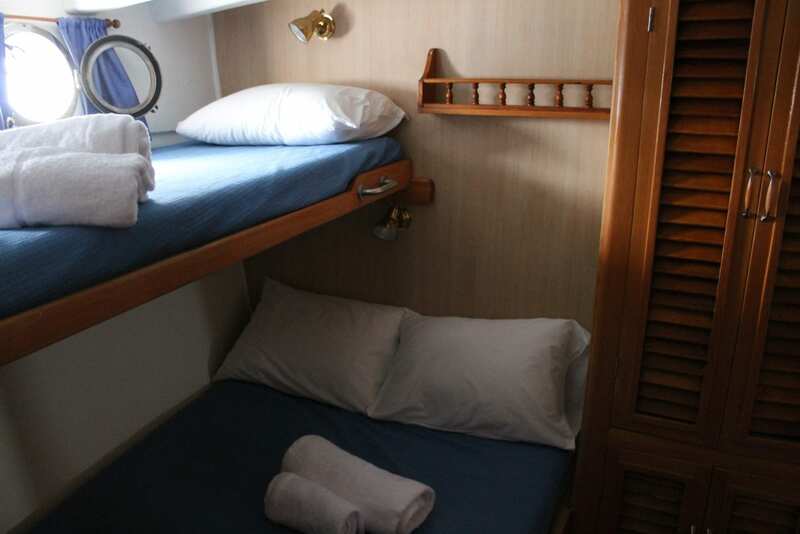 All have ensuite facilities. 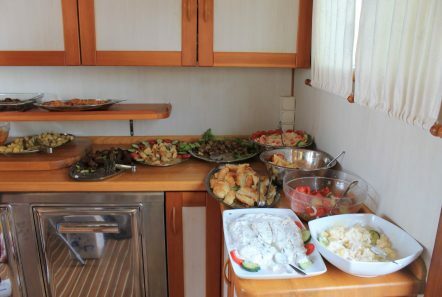 The yacht is equipped with a full-service galley, including 5 refrigerators and freezers, two ovens, bar-b-que and coffee machines.